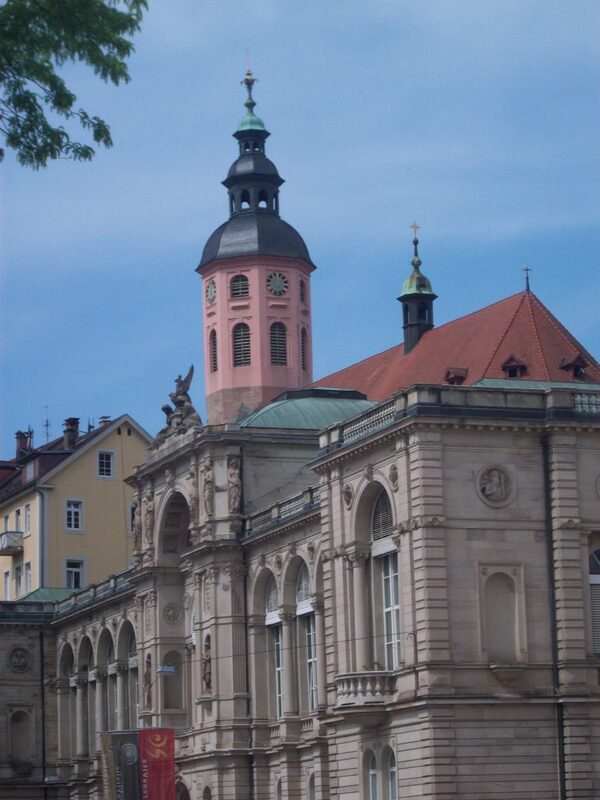 Baden-Baden. So good they named it twice. 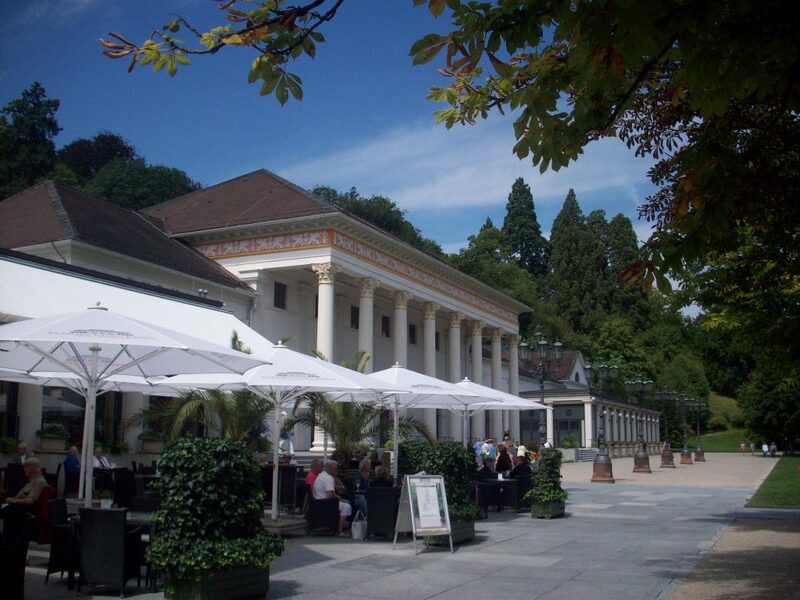 On a dip into to Baden-Baden you will discover how true this is. A pretty spa town on the edge of the German Black Forest, it has everything you could want: great bars and restaurants overlooking green and leafy boulevards, elegant museums and gardens juxtaposed with ornate flowing fountains, Germany’s oldest casino and nearby destinations to explore. If you are, like I was, looking for a short break to recharge after a busy time at work, the town will not disappoint. There is an immediate sense of calm and peace when you arrive; the air is clean and crisp and invokes an instant sense of relaxation. 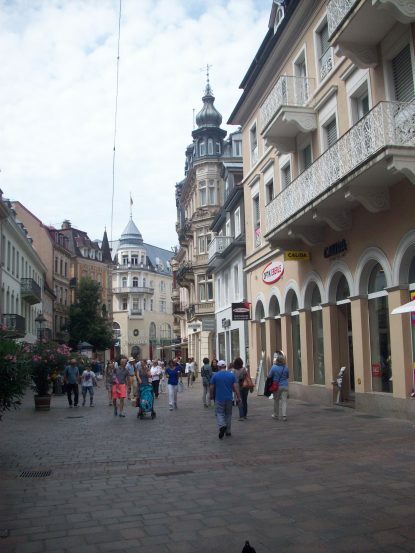 You could spend your entire time in Baden-Baden just wandering, taking in your surroundings and the calmness, before stopping to sip a cool German beer or a crisp white Riesling. 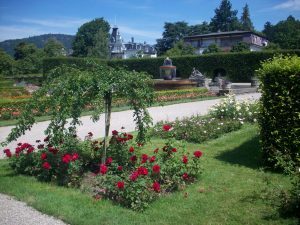 This is an ideal place to people watch: smartly dressed visitors to the casino, families picnicking on the grass in front of the open air theatre or locals walking their dogs in the shadow of the trees of the Black Forest. All these provide a chance to wind down and leave the stresses of work behind. However, if you’re really serious in your quest for relaxation, you must not omit a visit to one of the town’s spas. Two of the main spas in the town are the Friedrichsbad and the Caracalla. Both are well renowned, but your choice, as the concierge in our hotel put it “depends on whether you want to wear clothes or not”…. 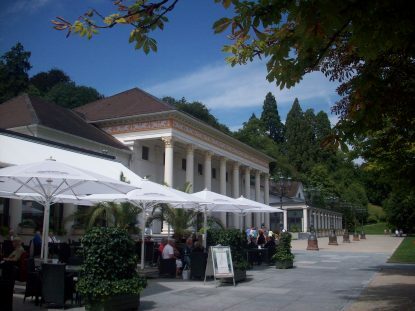 The Friedrichsbad is the old historic Roman-Irish spa on the edge of the old town and it is here that you can have a traditional and unique bathing experience, involving 17 stages and a variety of different baths and temperatures inside a stunning, beautiful building. There is a precise way that you are to relax here: the spa advises that “the ideal route…is…: shower, warm air, hot air, shower, massage, shower, steam, hot steam, full bath, whirlpool bath, exercise bath, shower, cold bath, towel down, cream application, relaxation and reading” and you will need to set aside time to experience all the steps. This is the spa where you need to doff your clothes, but for the most part men and women use separate facilities so your modesty can be preserved if that is a concern. We, however, chose the Caracalla (where bathing suits are allowed!). This is a more modern spa which houses both inside and outside thermal pools, with recliners and sunbeds on outside grassy areas that provide an opportunity to sunbathe and read. A trip to this spa also needs time and is a half day visit at least: the outside pool has a number of different experiences in itself – waterfalls cascading from rocks, jacuzzi type pools with muscle relaxing jets and a wave machine that propels you in a circular motion around the sides of the main pool through pockets of alternating cool and warm water. Get in this pool and it’s hard not to feel a bit like a big kid here as you secretly decide that you must try every part of it and every different experience – several times. People young and old, locals and tourists, visit this spa; it’s a popular outing and in the summer feels a little like a town beach, with people lazing on the grass taking in the sun and topping up their tan, in between taking a cooling dip in the water. You need to go early to make the most of your time and avoid the crowds; if you can visit on a weekday you may hit on a time when many of the locals are at work and unable to visit. Whatever your choice of spa and whenever you choose to go, you will no doubt leave with a greater sense of wellbeing than when you arrived. All that’s then left is to find one of those lovely cafes and to sit on the terrace watching the world go by. I think I would’ve picked the Caracalla too 😀. 15 bathing steps plus resting and reading – sounds heavenly!